Wanting To Save Money On Your Long-Distance Move? Moving across the country or across town can be expensive. 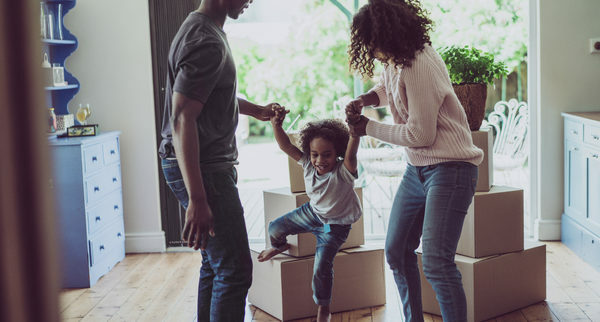 It’s not just the moving costs, but once you get settled, you have deposits, maybe new professional licensing and testing, and there could be a significant cost-of-living increase. How do you manage those costs? Read these tips from local Bay Area movers in order to make the most out of your relocation. The more time you spend planning your move, the smoother it will go. You’ll have time to research the areas where you want to live to look at the local amenities and cost of living. In the Bay area, rent values can be different from city to city. You can also check out public transportation and traffic issues. Part of your research should include a quote from long distance movers in the Bay Area. You’ll have time to save money to pay for added expenses during your move. When you’re moving across country, you may expect problems. Build a cushion into your plan, both financially and time-wise to allow for complications. Bay Area long distance moving companies may look like they cost more, but they can really help you get moved without a lot of extra problems. Their experience can make moving go quicker. They’ll have the gear you need to move, like dollies, furniture pads and tools to disassemble furniture. Professional movers know how to pack the truck so your belongings aren’t damaged. The less you have to move, the less you’ll pay. Use up the food in your pantry or give it away to avoid having to haul it across country. Think about what clothes you really need to take. Moving is a great time to pare down your belongings. Consider how much space you’ll have in your new home, too. If you’re going from a three-bedroom ranch house to a two-bedroom apartment, you won’t be able to fit everything in. Plus, it may cost more to safely move your flat-screen television than it would to purchase a new one. And that chair you bought on Craig’s List? You can find another one. Only move what you absolutely have to. Looking for Long Distance Moving Companies in the Bay Area? Contact Magic Movers for a FREE QUOTE for your next long distance or in town move. Give your friends and family a break by hiring these Bay Area movers to get the job done safely and professionally.